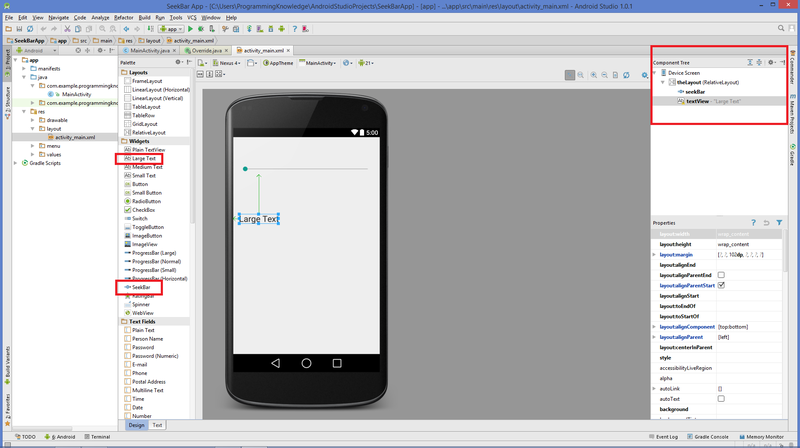 In this tutorial we will learn How to use SeekBar in Android Using Android Studio. 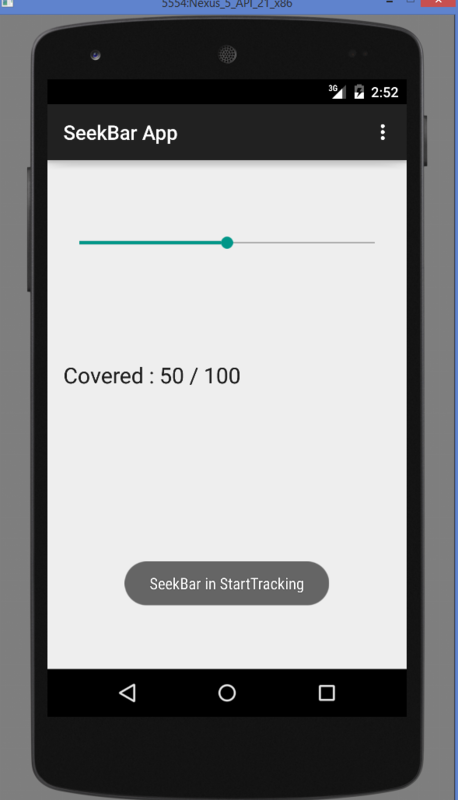 Step 1 – Create new Android project and name your project as SeekBarApp. Step 2 – Add SeekBar and a textView in the main activity as shown in the picture below. Now run your project. And drag the seekbar. you will see the result in text view as shown below. How to connect MS Sql server 2008? Could you please share some example for mssql connection and insert, update, delete, view statement.